Founded in 1826 in a small Hungarian village and enjoyed by guests from Queen Victoria to Princess Diana. Savor a special Herend experience of your own. 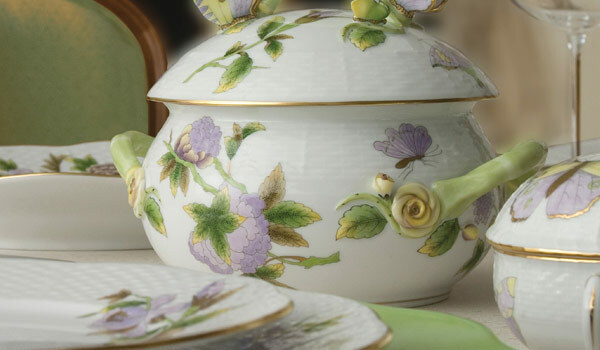 Enjoy Herend's smooth white porcelain body and hand painted designs, and sense the passion of great sculptors, master painters and visionary designers imbued in every piece they lovingly craft. Intended for use and enjoyment as well as artistic allure, Herend’s durability and ease of care ensure it fits perfectly with your lifestyle.